When you hear the word “solar,” what do you picture? Nowadays, most Massachusetts residents picture solar photovoltaic (PV) panels due to the amazing growth of solar PV in our state. There is also another kind of solar energy for homes and businesses to consider: solar hot water (SHW), also known as solar thermal. A SHW system looks similar to a solar PV system from the outside, but while a solar PV system converts the sun’s energy to electricity, SHW systems capture the sun’s energy to create heat that can be used to heat hot water or even supplement a home’s space heating system. Green-thinking homeowners can install both solar PV and SHW collectors to maximize their use of the sun’s energy. Some homeowners opt just for SHW, which can be a great energy solution in situations where the roof is too small for a PV system or does not face south. Typically, a home would only need 2 to 3 SHW collectors to provide up to 80 percent of its hot water needs, so there is less demand for roof space. SHW installers may also be able tilt or mount the collectors on an angle, rather than laying them flat, which is what allowed Quinton Zondervan of Cambridge, MA to install SHW. Quinton is an example of a homeowner who wants to be 100 percent renewable. He uses the electricity from his PV system to charge his electric car and plans to install an air-source heat pump soon. He is also president of a local non-profit, Green Cambridge, which works on sustainability issues throughout the city. Quinton loves his SHW system; he says the water is very hot and his natural gas bill is down to almost zero in the summer, except for his gas stove. 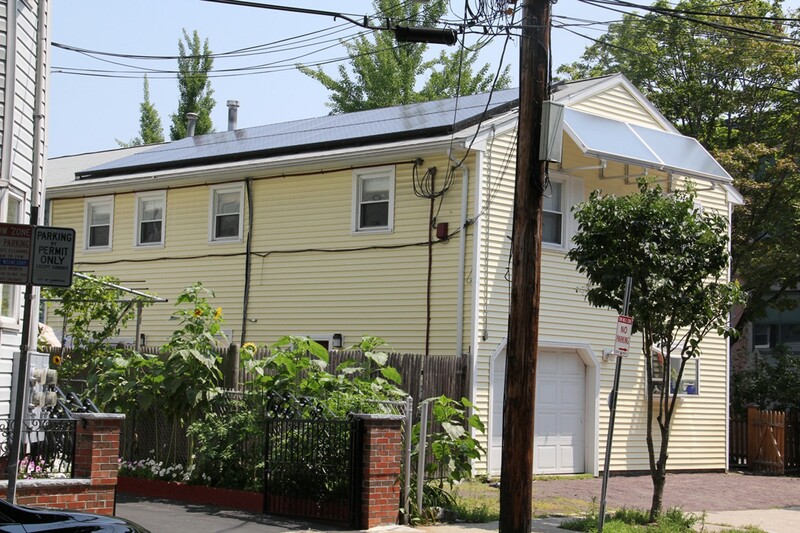 There are strong incentives available to Massachusetts residents who want to install either solar PV or SHW (or both!) on their home. As you’re looking to save costs and reduce your greenhouse gas emissions, consider solar hot water. Visit MassCEC’s SHW webpage for more information about the technology, our rebate program, and finding an installer.